Perfect for the active woman. 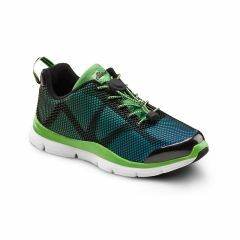 The Refresh is a stylish, super-lightweight women's athletic shoe that helps provide superior comfort and support for women who suffer from painful or sensitive feet. Designed with breathable material and a unique arch stabilizer, this athletic shoe provides your feet with extra support and cushion to avoid calluses, blisters, and skin irritation. Whether you need a cross-trainer or everyday casual shoe, the Refresh offers excellent foot protection and all-day comfort.